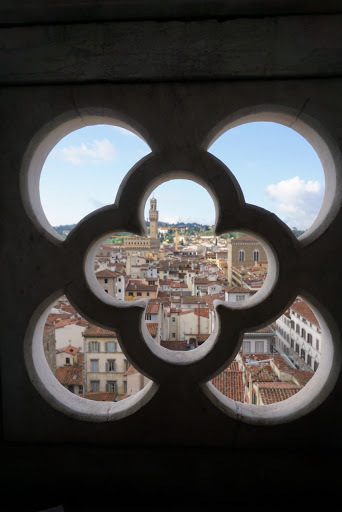 We spent the first 3 days of our trip in Firenze, Italia (Florence, Italy, as we'd say). After our first dinner at Salumeria Verdi we promptly christened our Italian journey with an inaugural gelato. 1 Uber ride, 2 long flights, and 2 train rides and we're finally in Firenze (Florence). Last night my parents, Bryce, and I settled into our hotel and kept ourselves moving in an effort to ward off the jet lag and any spur of the moment naps! 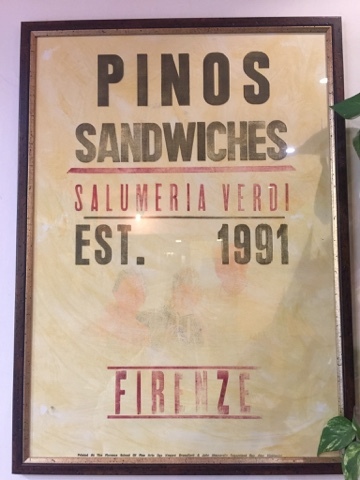 We had our first true Italian meal at Pinos Sandwiches/Salumeria Verdi. Well friends, it's approaching midnight and our alarm clocks are set for 5:00 am. We leave tomorrow for 2 weeks in Europe and I feel like I've done more today than in my previous 30 years of life! I've read, planned, mapped, and poured over travel guides. My phone has been a constant source of weather updates, travel tips, exercise tracking, and so on. I even borrowed maps from the library for each city we're visiting. Did you know that you can do that? Hello my friends! Are you still there? Is this thing on ((taps microphone))? It's been entirely too long! Three months, you say? I am truly sorry. Things are going well although I have been quite busy. My career has kept me jammin'. Our house has undergone some serious remodeling, resulting in our using the small, dishwasher-less kitchen in our downstairs mother-in-law suite. I've completed 2 Italian language courses and have planned an adventure to Italia for next month. Excuses, excuses, right? Not quite. Life has been hectic and crazy and AWESOME. I've considered quitting blogging. I've wanted to start a new blog altogether. I've oscillated between the two! Have I made a decision? No. Am I sure that I will keep eating, cooking, and writing in the future? Yes. From Seattle you can hop on a ferry boat and escape the city hustle and bustle for a more laid back lifestyle on any of the nearby stops or islands. We took the ferry on a grey Sunday morning over to Bainbridge Island to meet up with our friends for breakfast. This year we hosted Thanksgiving dinner at our home. My responsibility was the Thanksgiving trifecta - turkey, mashed potatoes, and gravy. I kept things as simple as possible, given Thursday was my only day off from work. I cut a few corners with packets of gravy and potatoes made the day before so that my focus on Thursday could be cooking the turkey and enjoying our company! Bagheera, our cat, was happy to keep the seats warm for our guests.